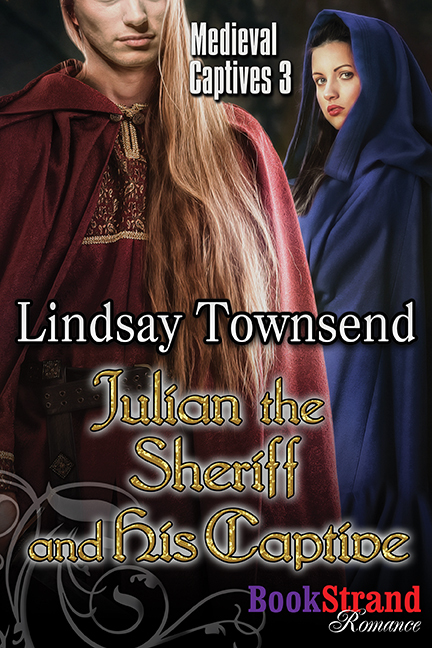 Julian, sheriff of the northern highlands, has the king’s trust and the loyalty of his men, but since the death of his wife he has been angry, plagued by nightmares, resentful, and wanting no other woman. Then he discovers a nameless girl freed from an outlaw camp, a captive abused so badly that she is virtually without speech. Julian senses a kindred soul and feels compelled to help her. He calls her Marian and takes her into his household. He does not know yet if he loves her, but Marian is his. Marian has never known security or love. Orphaned and then enslaved and taught she is worthless, she has never known family or comfort. The tall, blond, handsome Julian seems like an angel, but what can she be to him? Before they can truly come together there is a harsh lesson in trust that they must undergo, one which may cost Marian her life.